Wonder Girl!. 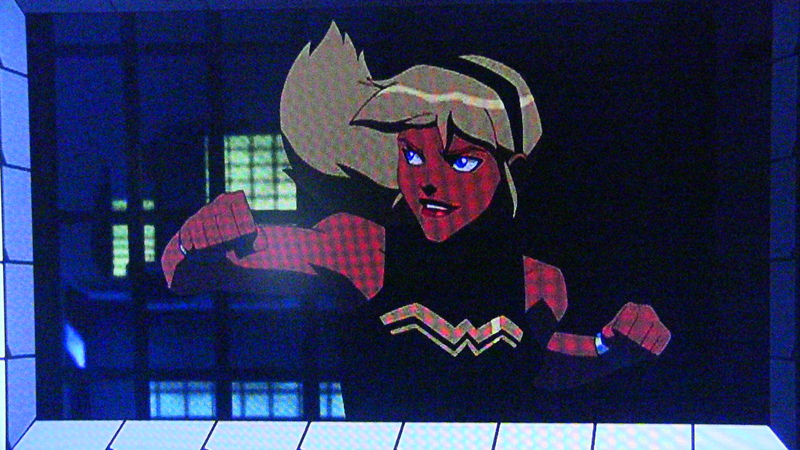 Sorry for the bad quality, I took these from my TV.. HD Wallpaper and background images in the Young Justice club. Sorry for the bad quality, I took these from my TV. This Young Justice photo might contain segno, manifesto, testo, lavagna, and poster. Blech! I no like her! Hence why she was evil in my articles! Why don't you like her? She fell in love with Robin in the original YJ, but Supes in TT. But lets say she went by the TT storyline, would you like her then? Hmmmmmmm....no. i like Megan and Supes better!!! Yes!!! She looks 2 cool!!!! I watched the preview and I was so confused. Are there gonna be new members? Ugh, I hate this character. I found her to be really annoying in the comics. Good thing I don't watch Young Justice. If you don't watch Young Justice, why are you a fan of this club? ^ What are you talking about?